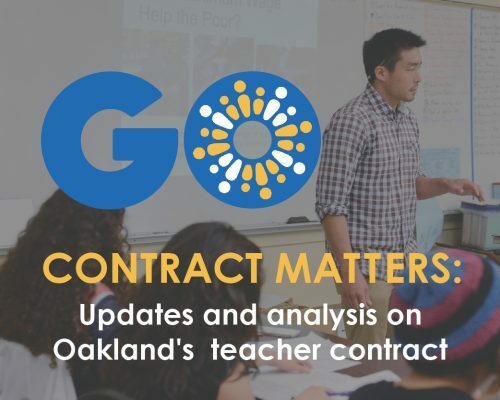 Right now, our school district and our teachers’ union are working together on a new contract that is an important step towards building the community of teachers and high-quality schools we need in Oakland. Students, and how they experience school. Parents, and how they get involved in their schools. Principals, and how they manage their schools. Teachers need a significant raise now. 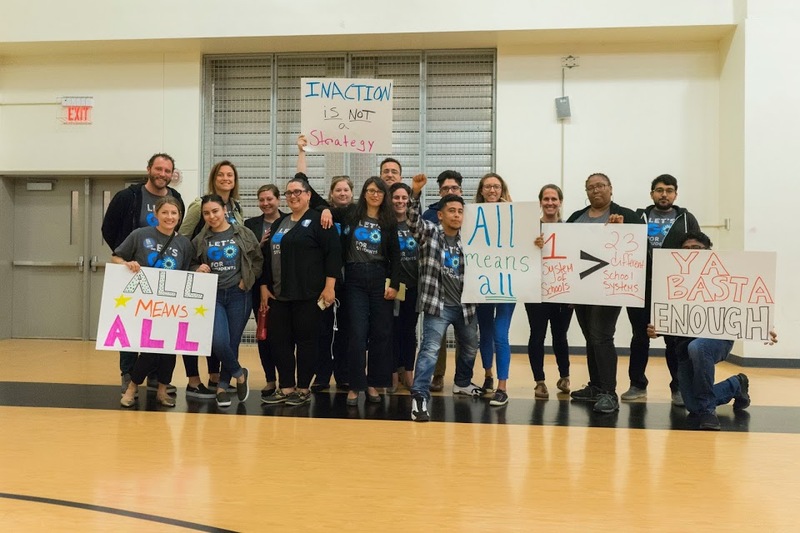 A strong community voice–with significant input from teachers–is also necessary to decide which teachers are the best fit and the schools where they are needed most. And the public deserves a transparent conversation about this important contract to ensure that everyone is informed and has a voice. 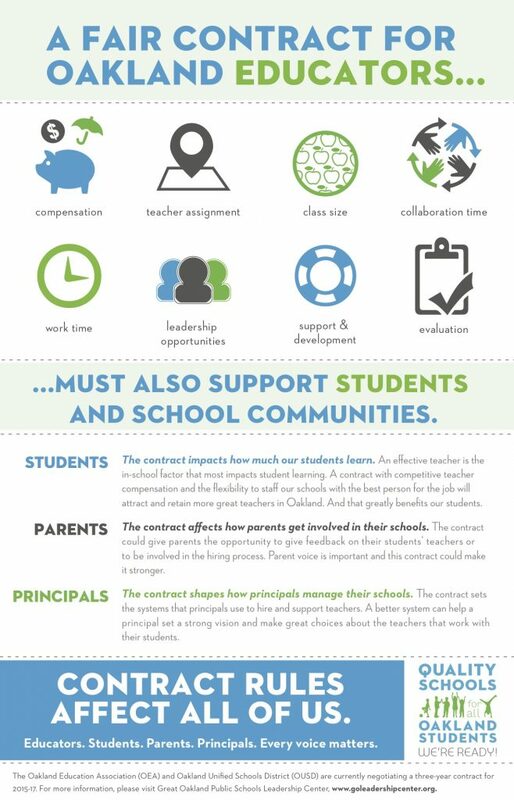 We believe this information can help educators and their supporters come to an agreement that gives teachers the raise they need, gives students and schools conditions for success, and facilitates a quick resolution to negotiations so teachers can focus on their challenging work. As we learn more about proposals from the district and the union in the coming months, we will keep you informed.